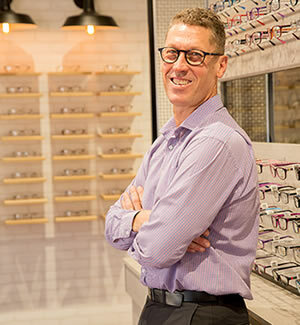 Scott has over 27 years experience in Optometry practice. He specialises in contact lenses, low vision and children’s vision, Ortho-K, eye disease and co-management. Scott holds a Certificate in Ocular Therapeutics from the Australian College of Optometry. He is a member of the OAA (Optometrists Association of Australia), ACBO (Australasian College of Behavioural Optometrists) and CCLSA (Cornea & Contact Lens Society of Australia). He is committed to continuing professional education in the assessment and management of eye conditions. Scott is also a keen triathlete and loves the outdoors.